Bahrain International Circuit (BIC), “The Home of Motorsport in the Middle East”, announced today that Bahrain Petroleum Company (Bapco) has signed on as official sponsor of the upcoming Bahrain GT Festival. The festival is scheduled to take place November 30 and December 1 in Sakhir, and it will be the first major international event of the 2018/2019 racing season. Organised in cooperation with SRO Motorsports Group, the Bapco Bahrain GT Festival will feature three exciting racing series. Headlining the weekend’s on-track action will be the all-new FIA GT Nations Cup. It will be complemented by the SRO GT4 World Final and the Bahrain Classic Challenge. All three categories are being hosted in Bahrain for the first time. Each will contest multiple races, with some competing under the lights. 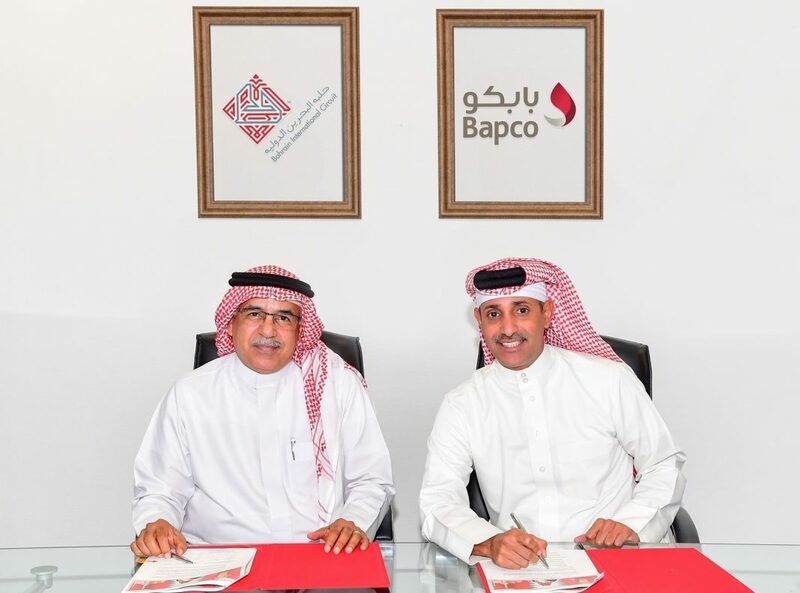 “We are pleased to announce Bapco as the official sponsor of the Bahrain GT Festival,” said BIC Chief Executive Shaikh Salman bin Isa Al Khalifa. “We thank Bapco for their continuous support and for being one of our most valued partners. “The Bapco Bahrain GT Festival is set to be an incredible event. We will be welcoming a large number of international racing teams and drivers, many of whom will be representing their respective nations. Commenting on this occasion, Bapco’s General Manager Marketing Division Mr. Khalid Buhazza said: “Bapco takes pride in this official sponsorship. Bapco has enjoyed a distinguished status of being an official sponsor of this sporting extravaganza, which attracts massive global audience to the Kingdom”. “Bapco’s initiative also reflects the continued interest in backing Bahrain’s standing on the global sporting arena”, Mr. Buhazza added. Tickets for the Bapco Bahrain GT Festival are now available. They can be purchased on BIC’s official website, www.bahraingp.com, or by calling the BIC Hotline on +973-17-450000. They cost BD5 apiece for adults and BD2.5 for teenagers aged 13 to 17. Those 12 years old and younger can attend for free. Aside from the racing, the Bapco Bahrain GT Festival will include loads of off-track family fun and entertainment, including carnival rides, parlour games, extreme experiences, children’s activities, and the like.